The common covers an extensive area (in excess of 500 ha) comprising a mixture of landscape types and is crisscrossed by a network of both formal and informal paths. It consequently provides ample opportunities for quiet informal recreation. There is a long history of use of the common for informal recreation, both pre-dating recent military use of the site and occurring concurrently with it (on areas outside the old perimeter fence). A range of recreational activities occur on the common - walking (either with or without dogs) being the most popular, followed by cycling, running (including in regular organised events e.g Newbury Park Run) and horseriding. Birdwatching and other wildlife watching (e.g. bat walks, fungus forays) takes place both informally and in low-key events led by the Ranger staff and others. Under the Greenham and Crookham Commons Act 2002 the public have a right of access to the common and any additional open space on foot for the purpose of open-air recreation. The public also have a right of access on horseback and bicycle on certain defined paths and tracks and additional open space to be determined in consultation with the Commission. There is only one designated public right of way wholly on the common (a footpath at Sandleford Heath). The council has a duty to prepare and regularly update a map showing the common, additional open space and highways. There is no public right of access in a vehicle. The council has the power to regulate or prohibit access to parts of the common in the interests of public safety, for restoration or conservation, protection of flora and fauna (including livestock) or prevention of the risk of fire. A zoning system operates during the bird nesting season from March to July, to balance visitors' needs with those of the ground-nesting bird population. More details are available in the Ground nesting birds leaflet (WBC 2012). The council has the power to provide other facilities relating to use of the common for informal recreation – including provision of tracks and paths for use by disabled persons, those on horseback and on bicycles; provision of waste bins, picnic sites and public conveniences (off the common) and to make provision for other such facilities, with the agreement of the Commission. There will be no provision of 'formal' furniture (i.e. park benches) on the common proper. This would detract from the 'wild' nature of the site. There are existing rudimentary seats at various points on the common, fashioned from tree trunks and large logs. There is scope for the provision of rustic picnic tables and benches in designated grass areas within the main car park area only. There is a presumption against the provision of litter bins on site, except for dog waste bins. Dog waste bins have been provided within the main car parks and at key entrance points. Where tracks and paths are improved they will be constructed using existing material where possible and designed to be in keeping with the 'wild' feel of the common. For example, the new (2009) cycle track linking the Pyle Hill entrance to New Greenham Park utilised common gravel and was dressed with material identical in colour to naturally occurring plateau gravels on site. There are public access points at the designated car parks and at various other locations. Access to the stock-fenced area is via wooden bridle gates from the main car parks and opposite public rights of way and permissive paths. In the unfenced portion there are numerous permissive routes and trodden paths. There are several clearly defined tracks on the common providing the main routes across the common for the bulk of visitors. Several of these correspond with parts of the former airbase infrastructure whilst other paths provide links between and around key features. On any large site such as Greenham and Crookham Commons there are also any number of smaller paths used by regular walkers. West Berkshire Council's leaflet (2007) describing the commons highlights 4 specific walking routes. 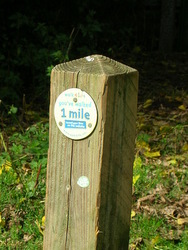 These have been waymarked on the ground with posts bearing colour codes relating to each route. The leaflet has a short description of each route and also shows the main permitted paths and public rights of way that lead up to the common, giving access to and from Newbury, Thatcham, Brimpton and across the County boundary with Hampshire. Identical but enlarged interpretive maps at the main car park entrances also bear this route information. There are three main car parks adjacent to the common (Pyle Hill, Control Tower and Crookham) and several informal laybys. The Control Tower car park has capacity for 150 cars, Pyle Hill 12 cars, Crookham 30 cars with approximately another 20 spaces available in laybys. Use of the common by motorcyclists (specifically trail bikes, quad bikes and mini-motos), particularly in specific areas of Crookham Heath/Brushwood Gully and the re-landscaped area (compartment 18). This activity is dangerous on a public site and causes damage to the site and the flora. It causes disturbance to resident fauna, livestock, commoners and residents, and jeopardises other users. Use of the common for other activities that cause damage and disturbance or are incompatible with the overall objectives of management either for all or part of the year and/or in certain areas – e.g. dogs not under control/off lead in sensitive areas and in the bird nesting season (1 March to 31 July) kite flying, model aircraft, radio controlled model cars, galloping horses/lunge-rein training, fires/barbeques. Adaptations to, or potential replacement of, existing access gates to facilitate easy and safe opening/closing on horseback and for disabled users. The provision of additional marked routes to enable riders, cyclists and walkers to get off the main roads quicker (specifically at Crookham Common East) and onto the Common itself. 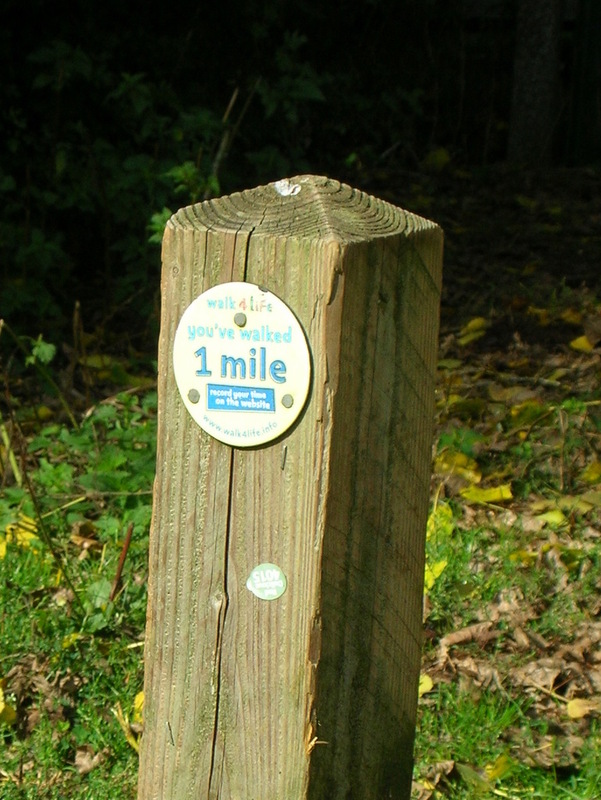 Poor waymarking of main routes (no directional arrows on posts, clearer signing required, more posts required on certain routes) there is no waymarking of other permitted routes or routes available for horse riders and cyclists (see above). No advertised provision of 'access for all' (DDA 1995 compliant) routes either in the leaflet or on the ground, despite there being many potentially suitable routes. Uncontrolled dogs intimidating other users (particularly children, horse riders and cyclists) - there have been a couple of incidents involving loose dogs biting horses ridden on the common. Formalise and map specific routes for horseriders and cyclists. Maintain and improve the main designated tracks across the common and associated access points, where necessary. This will make them usable by visitors with limited mobility or other physical impairments in addition to cyclists, riders and walkers. This work must not compromise the 'wild' feel of the common i.e. it should be in keeping with the landscape and aesthetics, recognisable and consistent with the existing infrastructure. Solve or address other issues relating to equestrian-specific use of the commons, particularly ease of use of gates from horesback, provision of additional or upgraded access points to get riders (and others) off busy roads skirting the commons. Solve or address issues relating to dogs off leads and/or not under control on the common during the nesting season (ground nesting bird season), at other times and in other areas. Solve or address other issues relating to inappropriate use of the common (motorcycling etc.). Improve provision of waymarking for main routes. This needs to be in keeping with the landscape and aesthetics, recognisable and consistent with other site signage and interpretation. Improve signing of routes to and from the common from the main adjacent population centres and within the West Berkshire Living Landscape project area. This needs to be in keeping with the landscape and aesthetics, recognisable and consistent with other site signage and interpretation. Improve signage at main entrances in particular relating to regulations governing activities on the common. This needs to be in keeping with the landscape and aesthetics, recognisable and consistent with other site signage and interpretation. Encourage more visitors to use sustainable modes of transport to visit the site, particularly 'local users' from Thatcham and Newbury. Improve provision of interpretive materials on and off-site, e.g. downloadable audio guides for site/walking routes, improved maps at site entrances (e.g. orthographic projection maps). Improve visitor management to minimise impact on resident flora and fauna (including livestock) – e.g. zoning, simple signage, press releases at key times of year.